Sometimes achieving good long-term returns is more a function of avoiding the worst investments than buying and holding the best ones. For example, you may know some of the best bond funds for rising interest rates but investors are wise to know which are the worst bond funds for rising interest rates as well! Bond prices and interest rates are like two opposing ends of a teeter-totter: When one side rises, the other side falls. Therefore when interest rates are rising, bond prices are falling and when interest rates are falling, bond prices are rising. So the best time to invest in bonds is when interest rates are falling because the price (or value) of your bond investment is rising. This captures an investing risk call interest rate risk, which is the risk of falling bond prices due to the rise in interest rates. Here's why bond prices fall when interest rates are rising. Imagine you were considering buying an individual bond (not a mutual fund). If today’s bonds are paying higher interest rates than yesterday’s bonds, you would naturally want to buy today’s higher interest-paying bonds so you can receive higher returns (higher yield or interest). You might consider paying for the lower interest-paying bonds of yesterday if the issuer was willing to give you a discount (lower price) to purchase the bond. As you might guess, when prevailing interest rates are rising, the prices of older bonds will fall because investors will demand discounts for the older (and lower) interest payments. For this reason, bond prices move in the opposite direction of interest rates and bond fund prices are sensitive to interest rates. How bonds react to interest rates can be measured by their interest-rate sensitivity. Generally, the longer the duration of the bond, the greater the sensitivity. Therefore, long-term bond funds are one of the worst types of funds for rising interest rates. If interest rates are rising, who wants to own the bonds paying lower interest for even longer periods of time? A simple example here is with Certificates of Deposit (CDs). When the new CDs come out with higher yields, the CD investor wants to replace the old with the new. In addition, the savvy CD investor will buy CDs with shorter maturities (i.e. 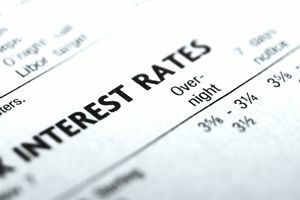 one year or less) if they expect rates to continue rising over the next year. This way they can keep renewing at higher rates. Bond investing in a rising interest rate environment follows the same logic. Probably the bond fund type with the highest sensitivity to interest rates is zero-coupon bond funds. Because zero-coupon bonds do not pay interest and their par value is due at maturity, their price is more sensitive to interest rates. Therefore, not only is a rising interest rate environment bad for bonds, it is even worse for zero-coupon bond funds. Which is Best - Bonds or Bond Funds?